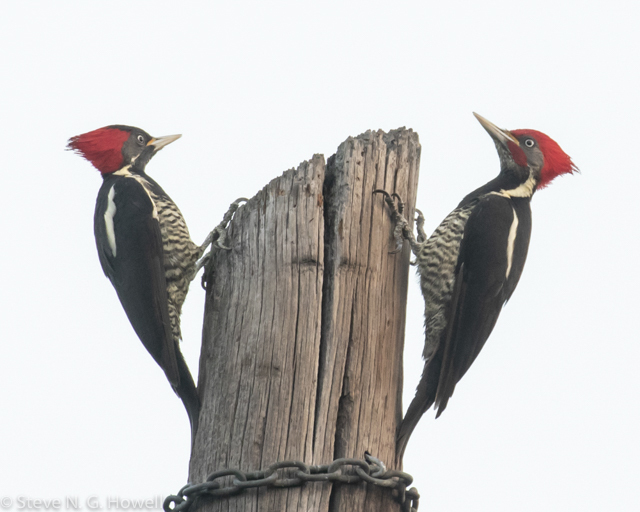 The first morning, this pair of Lineated Woodpeckers posed on a pole right outside our hotel! 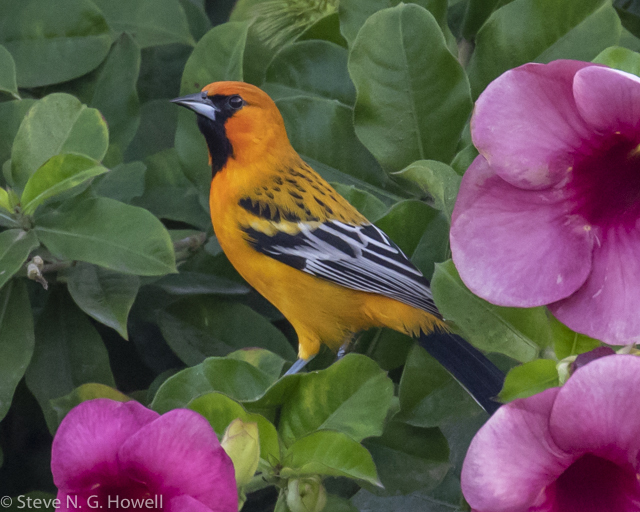 Followed within a block by this stunning male Streak-backed Oriole. 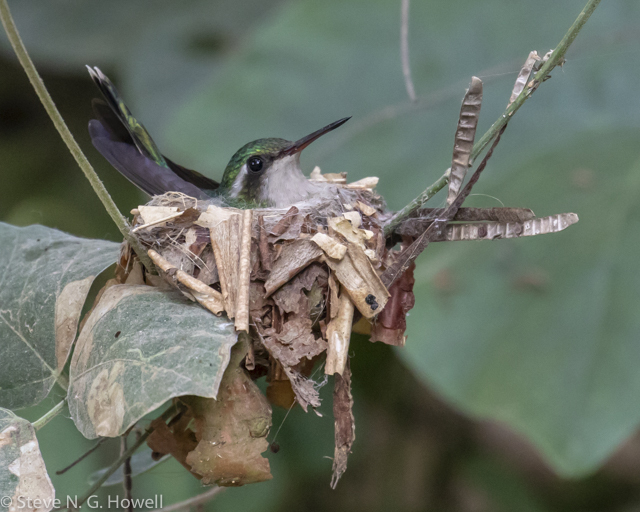 The next morning this tiny female Golden-crowned Emerald sat on her nest right beside a dirt road. 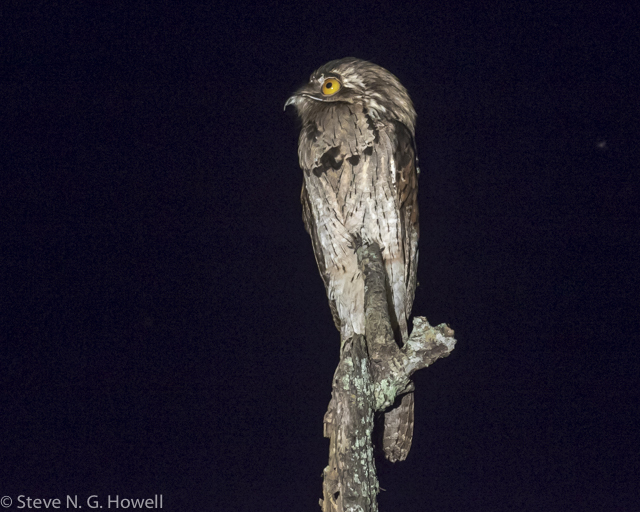 Always popular, Northern Potoos showed exceptionally well on our nocturnal boat ride. 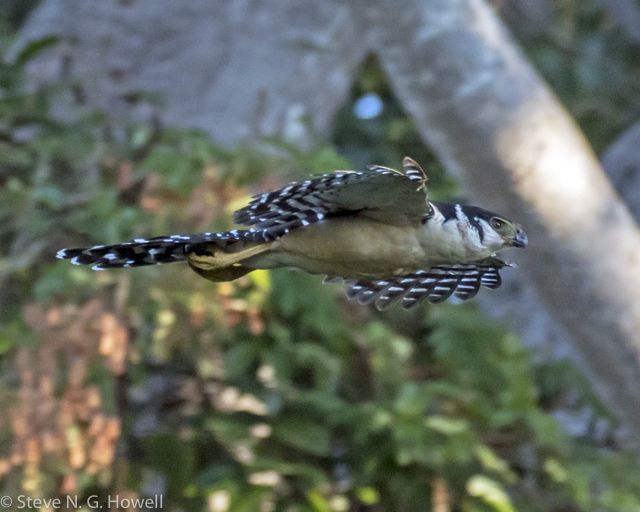 Collared Forest-Falcon usually shows itself somewhere during the week, this time on the last morning—but what a view! 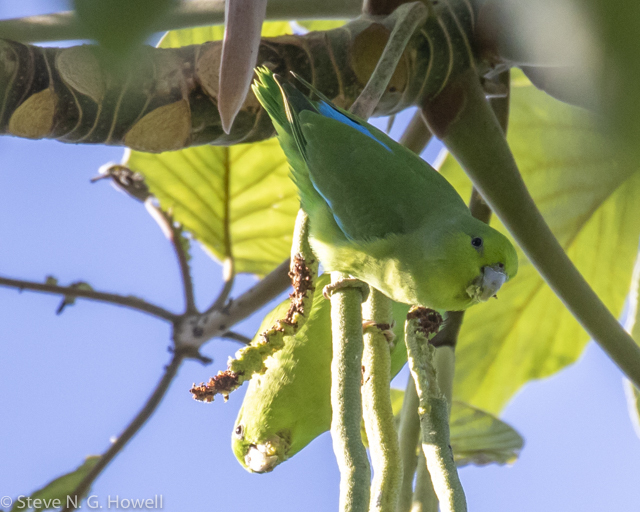 Among many other highlights, these diminutive Mexican Parrotlets posed for photos, but all too soon the week was gone.